I was recently contacted by Maple Holistics to try out their Tea Tree collection. I must say that I never heard of the brand, so I decided to do a little research about the company before I gave them a yes, and what I found out I did love. 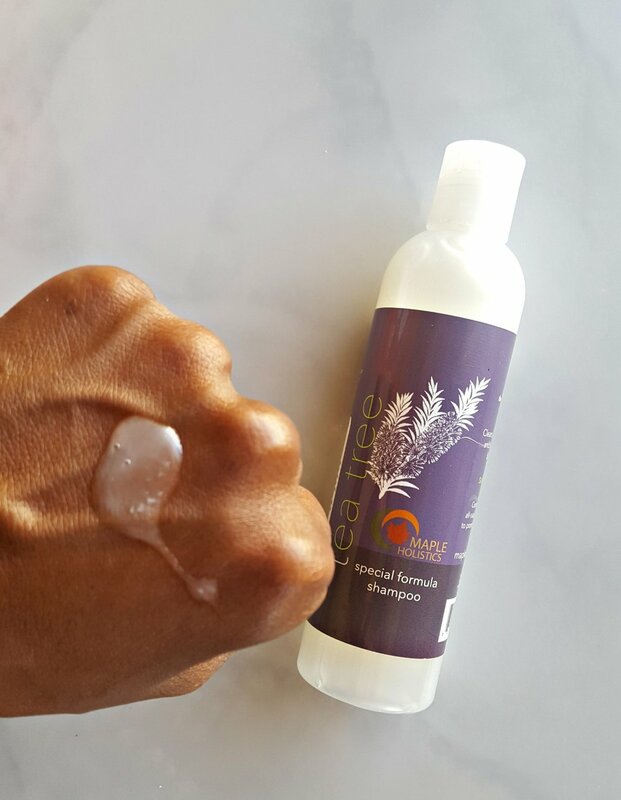 Maple Holistics carries a line of hair, skin, bath, body and personal care products for men and women. They even carry healthy snacks like nuts and berries for consumption. 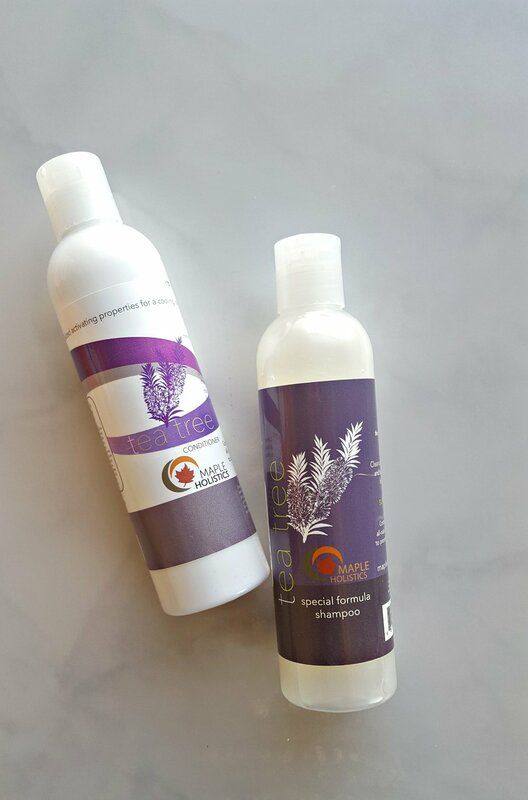 The company believes in creating natural and holistic products using high quality ingredients and therapeutic agents that are sulfate and cruelty free as well as safe for color. Tea Tree Shampoo- medium consistency, but it is very concentrated and lathers up very well, even on the first wash when product build up is most potent (a little goes a long way). I was really excited to try this line out because as of lately ya girl has been having a very itchy scalp and I don't suffer from dandruff (it may be that I don't wash my hair every week and just the environment). The reason being is because Tea Tree has great medicinal proprieties, such as killing bacteria strains, viruses and fungi. In addition it contains natural antiseptic and anti-inflammatory properties and one of the many benefits is that it helps to treat dry and itchy cuticles (raises hand high). Upon my first lather, I felt and smelled the Tea Tree working it's magic with it's tingling sensation and fresh camphoraceous scent (a clean, sharp, slight medicinal smell...... my geeky biology/chemistry background coming out). I did not need to use a lot of it, maybe 2 quarter sized amounts per wash was good enough for my thick hair. Tea Tree Conditioner- medium in consistency, but very concentrated (again, a little goes a long way, no need to over saturate). When it's time to condition after my wash, I don't towel dry, I leave my hair soaking wet, because I don't want to disturb my curl pattern and it helps me to use less conditioner (ladies, you know we stay piling it on). 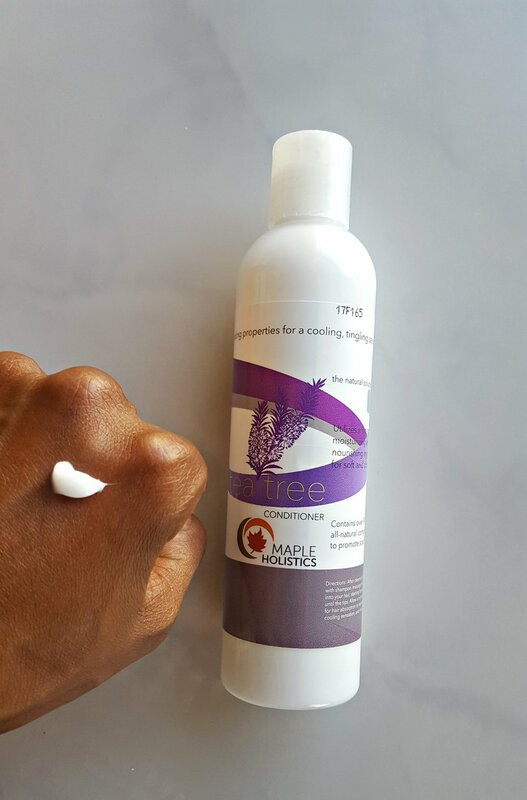 I was skeptical using this conditioner because lately my hair has been acting very restrictive- not absorbing the conditioner (short version, my hair was not feeling silky smooth and my curls weren't poppin). However, upon using this conditioner, my hair ate it up and I could tell because when I steamed my hair, my curls were hanging and becoming more defined. Before, with the other 2 conditioners.... under the steamer, my hair was a flat matted mess. One thing I wish was different was the use of the Tea Tree oil in the ingredients. Seeing as it was listed towards the bottom of the ingredient list, I am assuming not much was used. Although there were other natural oils and botancials used and tea tres by natural is potent, it still would have been nice if a bit more was used.